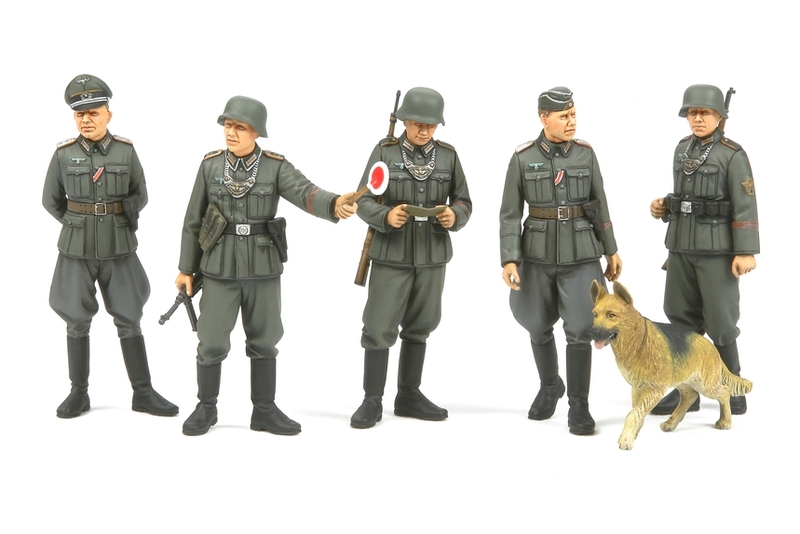 Special Feature 1 Set includes 5 field military policemen and a police dog. 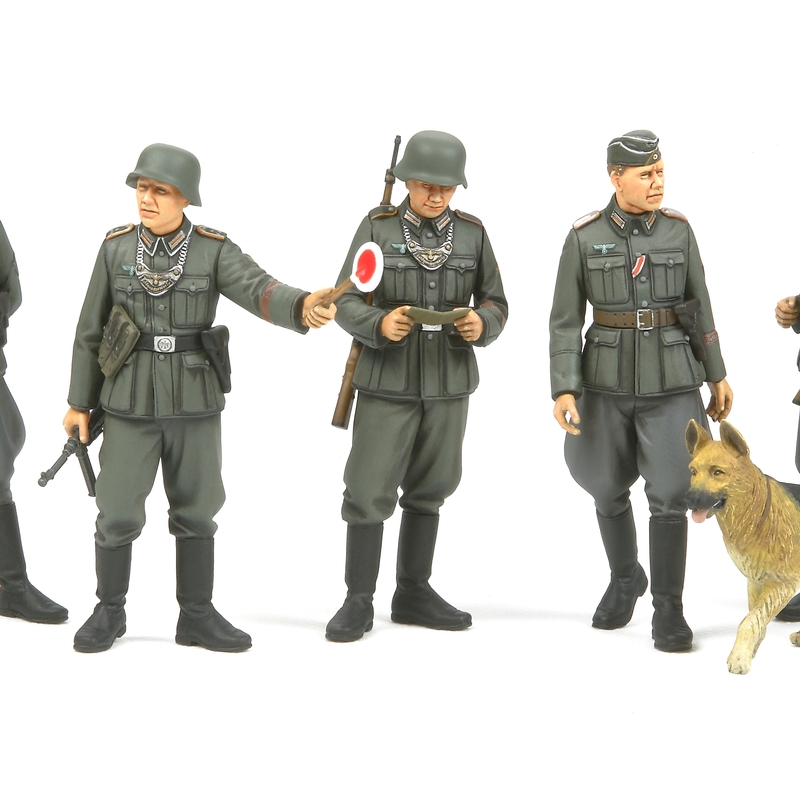 Special Feature 2 Set includes accessories such as helmets and small arms. Special Feature 3 Ideal for diorama scenes with 1/35 scale vehicle models. Special Feature 4 Use with Item 12641 WWII German Military Insignia Decal Set (Africa Corps/Waffen SS).